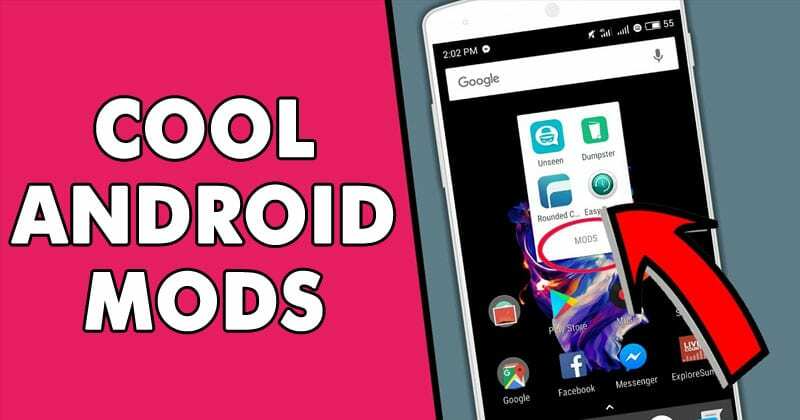 Let’s have a look at Cool Android Mods you Should Definitely Use that you can use your android phone to add cool new features in your android phone. So follow the below guide to proceed. Talking about the performance and speed of any general Android device, all of these perform really well until the devices are filled with loads of apps. Android is the ultimate great platform which indeed needs no improvements by default. Talking about the performance and speed of any general Android device, all of these perform really well until the devices are filled with loads of apps. When the users feel that their device is becoming slow after some time or is showing the signs of lags, then they do tend to use some modifications on their devices. Now regarding the topic of this article, What are Mods? Actually, mods are nothing else than the apps or the small amendment making software pieces that tend to increase the performance of Android device, looks, and the addition of new functions. Like the apps on the Google Play store, there are tons of mods available on the internet for the Android device. But truly not every available mod is good enough as it might be stated. This could make it extremely difficult for the users to find the exact Mod for the accurate performance boosting, UI changes and alterations on their Android device. To help out the users we have listed all those 10 cool android mods which the users should definitely use. Just check out the list as it is given below! You would not like to let anyone see your screen while you are doing some private job on your Android device. You cannot actually stop the people from pointing to your screen but you can easily prevent your screen lights from reaching them. 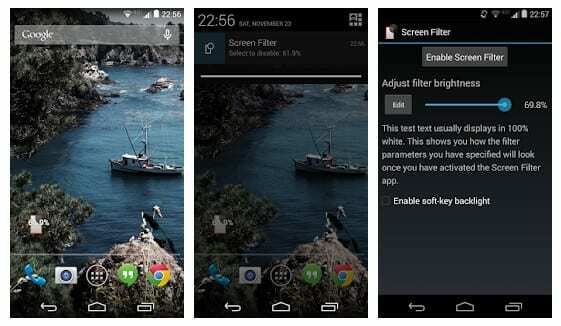 Screen Filter App applies such filter to the Android screen such as nobody could look at the screen content from any angle but you would see your device content easily! Cornerfly app makes the edges of your display screen slightly rounder on the Android. This helps to give that aesthetic look to the device. Try out this free app and you can grasp that amazing display screen modification! 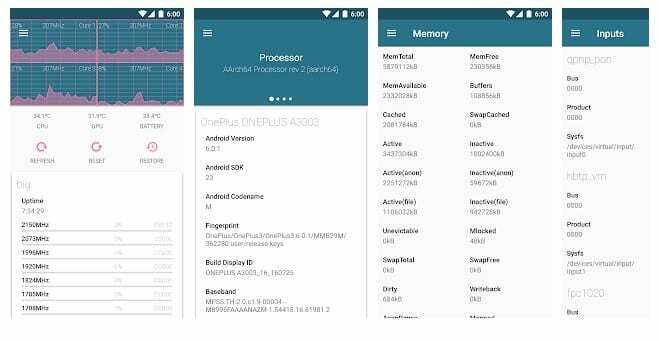 Underclock the speed of your device processor or increase it by using the Kernel Auditor app. You can, therefore, decide to either increase or decrease the performance of your device and even boost the battery performance through doing that. It’s up to you now how you use this app to get the best performance by increasing the processor speed or the best battery life by decreasing the processor speed. RAM plays the most important role in the performance of your device. The ROEHSOFT RAM Expander app is made for those people who are lacking the RAM space on their device. This app lets them expand the RAM space by using the internal or external storage as virtual RAM. This is an amazing app as the benefits it grants is quite great! Now the fingerprint scanner on your device could also help you reach your destination on the Android device quickly. 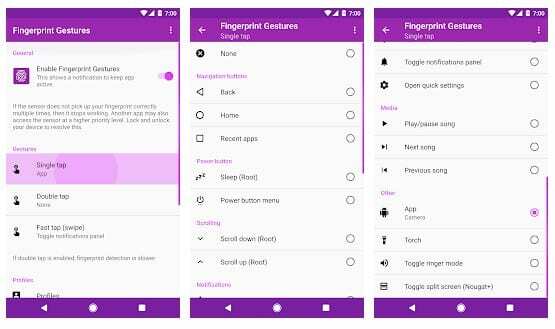 Make up the fingerprint scanner gestures for your custom apps or settings through the Fingerprint Gestures app! Viper4Mod is an amazing mod for audio enhancement. You could say that if it is used on any device, it would easily convert that device into a great music device. The ultimate enhancements that you could achieve in the audio quality could only be done only through this app. So many tweaks and features are there inside this app that you would never end creating all new audio quality and tone on your device! Audio visualizers are a great fun to add some moving excitement to the device. The navigation bar of the Android could be transformed into an audio visualizer which tweaks it looks while playing any music or audio. This could be achieved through the MUNIZ Nav Bar Audio Visualizer app. You can use it to add from various types of visualizers and even create up your own custom one. The status bar on your Android could be utilized well for the update regarding the battery level. Although the battery icon is available right before in the Android status bar the slider battery level could be added to it through the Energy Bar app. This converts the background of the status bar to the battery level indicator. Tile Extension for Nougat is the app that lets the users add more custom tiles to the quick settings of the Android device. This means that if you are willing to have any specific option as a toggle in the quick settings bar then you can do that simply through the above app. Have you ever witnessed that there is the requirement for the recycle bin for the Android device too as it is available there on Windows and Mac. This helps to prevent the sudden deletion of any data or information. 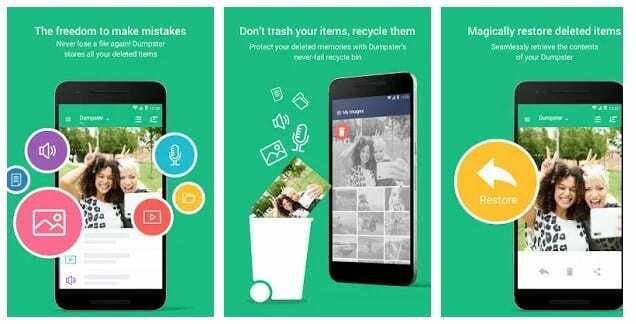 Dumpster app introduces the recycle bin inside the Android and everything that the user deletes goes into the recycle bin first. You can then make sure that none of your app updates, images or data gets lost suddenly as it would be first placed or shifted to the Recycle bin by the Dumpster. 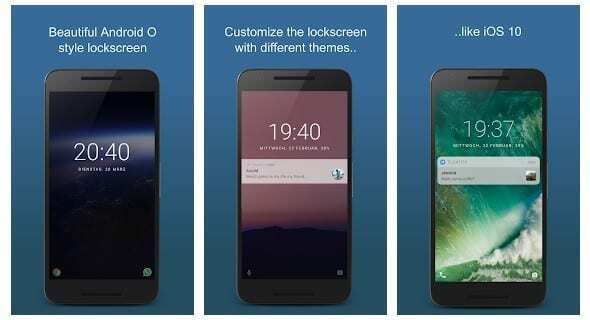 Floatify lock screen app for Android adds an Android O Lockscreen with blurred background on your smartphone. You can Quick Reply texts directly from the lock screen itself. There are many other features included in the app like Smart Wake which let you turn on the screen as soon as you pick up the phone. 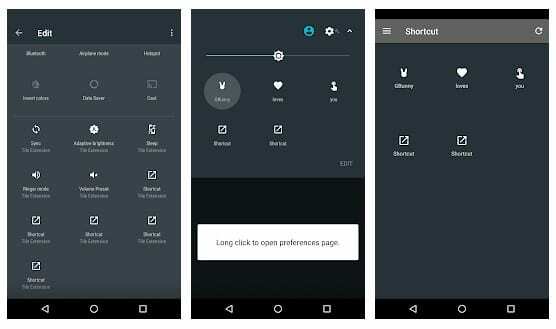 This awesome android app adds an extraordinary feature that let users turn on/off their Android screen by just tapping on the screen. Users can also change the number of taps to avoid screen off. 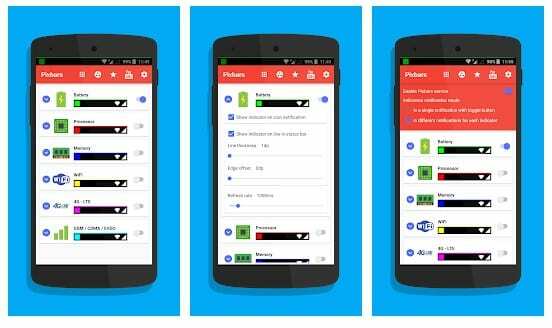 There is an app which goes by the name Fluscrn that let users use every pixel on the screen to provide a better experience for reading books, watching videos and playing games. 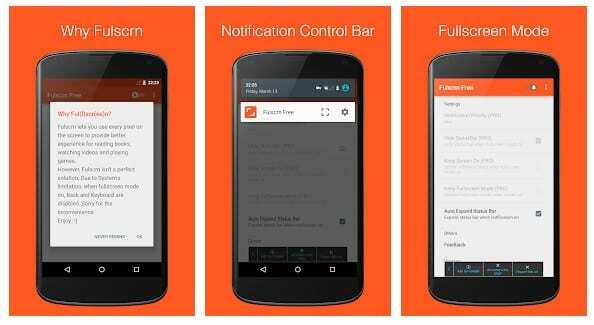 With fulscrn app, you can force all apps to immersive Full-Screen Mode. Want to replace the traditional notification center? Well, with the Material Notification Shade app you can bring the features of Android oreo to your Notification panel. 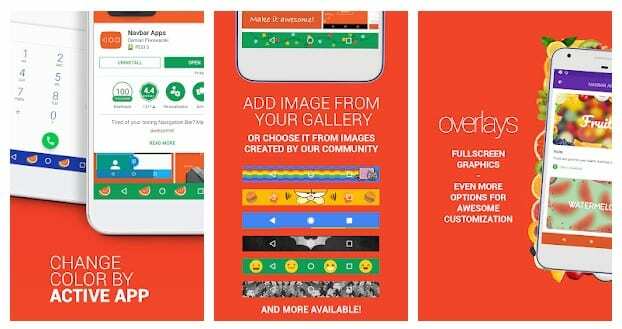 This app is fully customizable and comes with few themes. With Navbar apps, you can turn your Navigation bar to blue, red or anything you want. With this app, you can add a cool image as a background to match the navigation bar automatically. Well, everyone gets bored with the smartphone at the time. So, if you are bored with your Android interface, then you need to try out the xOS Launcher for Android. 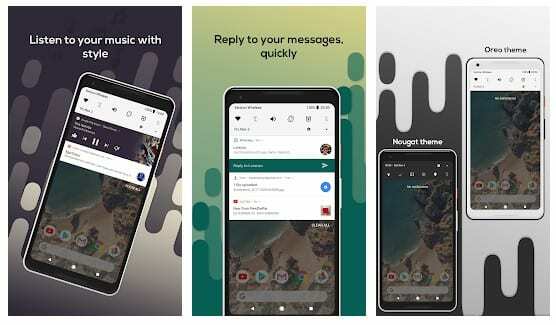 The launcher can transform your Android interface into an iOS. Moreover, this launcher will let you experience the super speedy and smooth operation. Are you looking for the computer launcher style windows launcher for your android phone? Do you love the new style of windows 10 launcher? Are you getting bored with Android’s User Interface and want to enjoy Windows launcher on your Android phone? 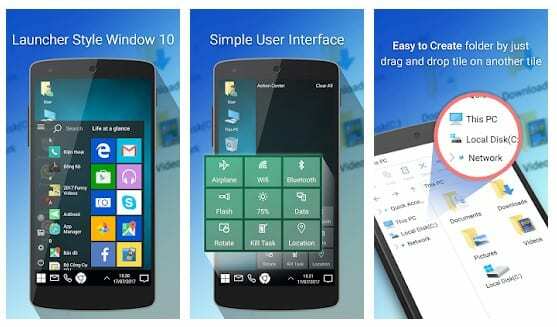 With Computer Launcher for Windows 10, you can actually experience the computer launcher Metro IO for Windows 10 on Android devices. Well, there’s an app available for Android devices that allows users to adjust the volume in a much easier way. 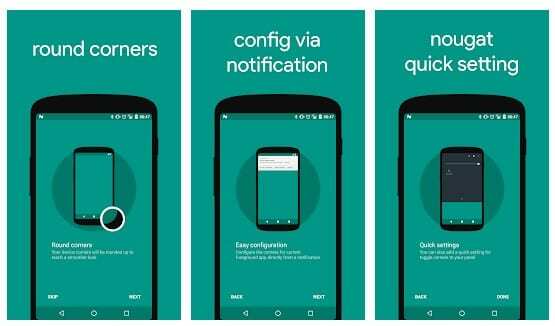 The app is known as Volume Slider and it will help you to ditch the physical volume button of your Android. The app adds an icon on your home screen which you can use to control the volume. It will show you a volume slider which you can use to control volume levels without pressing the physical volume button. If you value your Privacy, then you will love this app for sure. 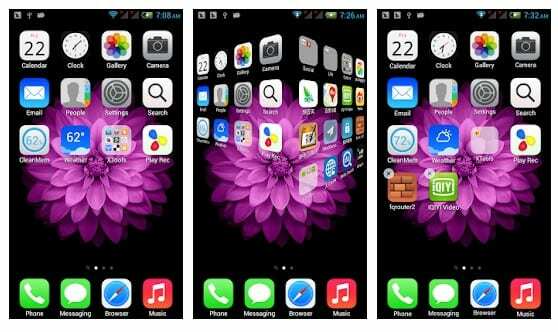 There’s an app known as Screen Guard which can help you to hide your screen from people around you. 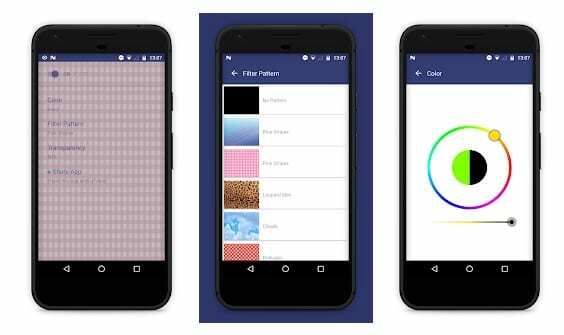 Normally, this app allows users to apply an overlay of patterns and colors on the top of the screen which makes things difficult for the intruders to read what’s written on the screen. The app is different from night mode apps because it hides the text content from your screen. Well, you can use the app known as Pixbars to add thin lines right under the status bar. These thin lines will show you the battery, processor, memory percentage. The app pretty much similar to the Energy bar which had been already listed in the article, but Pixbars can add multiple lines to the status bar. And these are the best mods for Android device that may help the users gain the relative boost in the performance and speed of their device. Pick out those which you liked and try them on your device. In case if you encounter any kind of issues with the above-listed mods and their installments, please comment below or contact us as we shall help you sort out that issue!